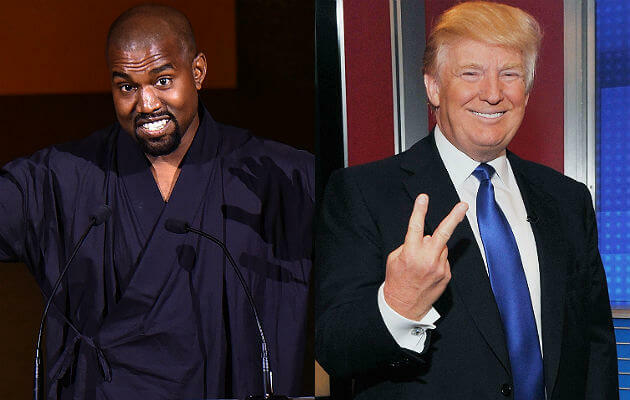 You heard that right, popular Hollywood icon and Chicago based Rapper Kanye West will run for President of The United States of America in 2024. West recently made it public that he was going to run for the American presidency, but in 2020. Donald Trump’s overwhelming victory in the White House only reinforced his intentions. West feels that he would make the perfect president because, after all, rappers are also philosophers, and celebrities of all types increasingly influence the American public and politics – Donald Trump was a celebrity icon and a wealthy business tycoon who became popular on the popular business TV Show The Apprentice more than 10 years ago. West is so enamored by American politics and the desire to give back to his country, so much so that he met with President Trump to discuss the possibility of becoming an American cultural ambassador, given his artistic and cultural background. He also met with Trump because he wanted to discuss real issues in American culture that ordinary Americans face, such as bullying, supporting teachers, modernizing curriculum, and school and youth violence in Chicago. Coming from Chicago, West realizes that Chicago’s school system is sub par for a developed nation and wanted Trump to realize this and take action accordingly. West also met with Trump because he wanted to enlighten him about the problems and maladies of the ordinary American citizen. He notes that Trump ran on the platform of ‘Making America Great Again,” and had a contract with the American people in which he promised to listen to and address their most pressing problems and concerns regarding the economy, education, geopolitics, and other issues. West felt that Trump was the first president in a long time who seemed to actually be in touch with the plight and concerns of the common man, and this is why he met with him – this is also part of the reason why he wants to run for President in 2024. West was so impressed by Trump’s down to earth personality that he has decided to try to shape American politics for the better by running for the Presidential seat soon. West is also very concerned about the social, cultural, economic, and political problems facing ordinary Americans, and he feels that he too could ‘make America Great Again’ if he was President of America! Next article Why AJ Styles is Considered as the Best WWE Wrestler in the World?